This spectacular wild place is protected by environmental laws so it has no major developments with only a few small towns with wide amazing beaches along the Atlantic coast making La Costa Vicentina the perfect escape. 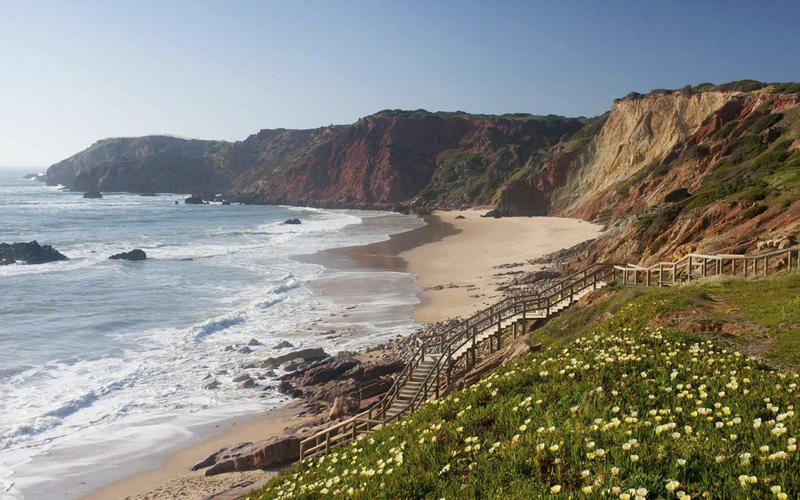 We discovered a secret paradise in our peninsula, La Costa Vicentina in southern Portugal. This spectacular wild place is protected by environmental laws so it has no major developments with only a few small towns with wide amazing beaches along the Atlantic coast making La Costa Vicentina the perfect escape. These big beautiful beaches are some of the loveliest in the world, and draws in all sorts of people looking for a majestic holiday, even the likes of Carla Bruni and Christian Louboutin hang out in the beach shack bars here. 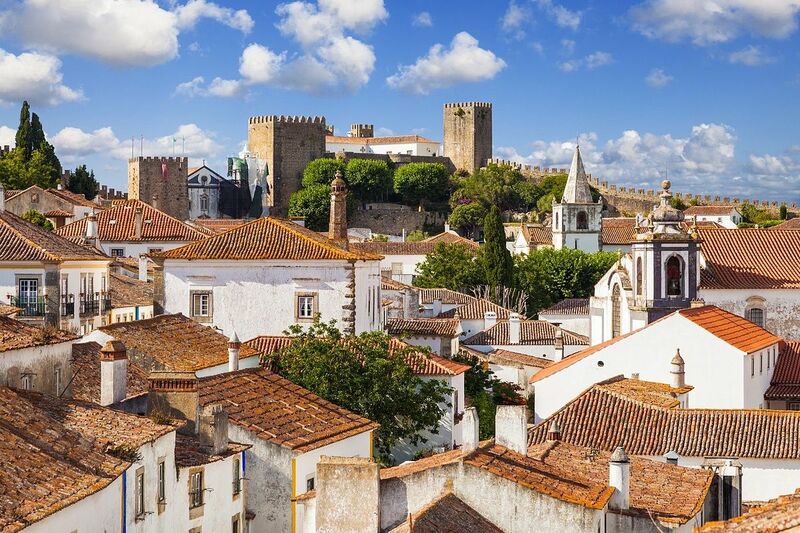 Discover Obidos a priceless charming little town near Sagres. This well preserved mediaeval town is one of the most picturesque places in Portugal. From it’s narrow cobbled streets, quaint whitewashed houses with bits of vivid colours, a medieval castle that once guarded the region, it’s a dream spot to visit. One of the town’s highlights is the main gate to Obidos, which contains a special tiled chapel that overlooks the main thoroughfare. The blue and white tiles are called Azulejo from 18th century and they depict the passion of Christ. This main gate also leads directly into the main street, Rua Direita, which is lined with delicious chocolate and cherry-liqueur shops. 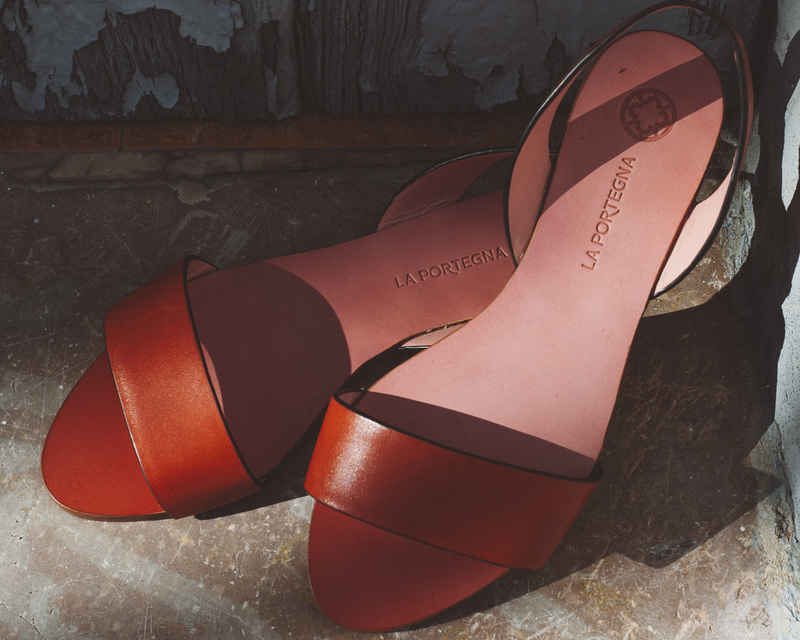 Nothing goes better on an epic adventure than the styles of La Portegna. Looking and feeling your best on a holiday is just as important as sightseeing and wandering around new places. Surf at Praia do Amado. 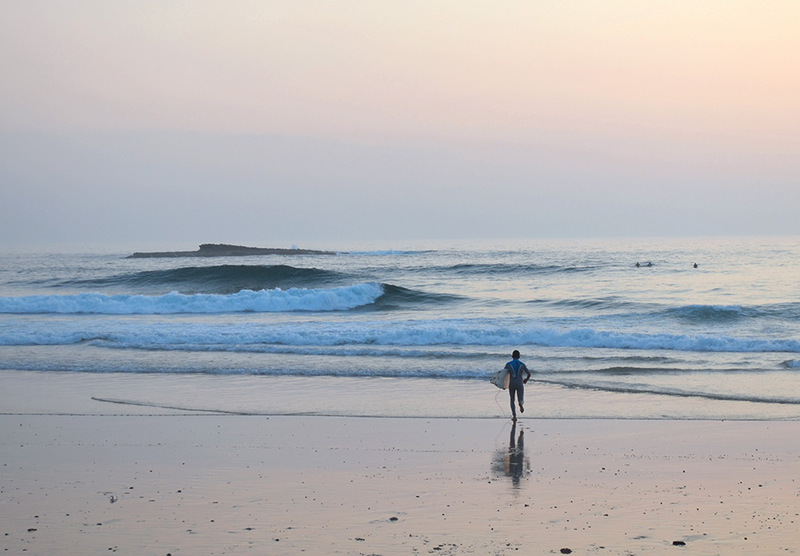 Within a natural park you will find this long sandy beach with big waves all year round, ideal for surfers. Fine sand backed by dunes and edged by cliffs, this beach is considered one of Portugal’s best surfing beaches and has surf schools for those wishing to give it a try. Barnacles; Try this unique seafood difficult to find and simply extraordinary with an intense sea flavour. Divers make dangerous expeditions to grab these delicacies from sea rocks but these surprisingly delicious barnacles have a briny oyster-like texture with a sweet taste similar to a lobster making it worth it. Sitio Do Forno. 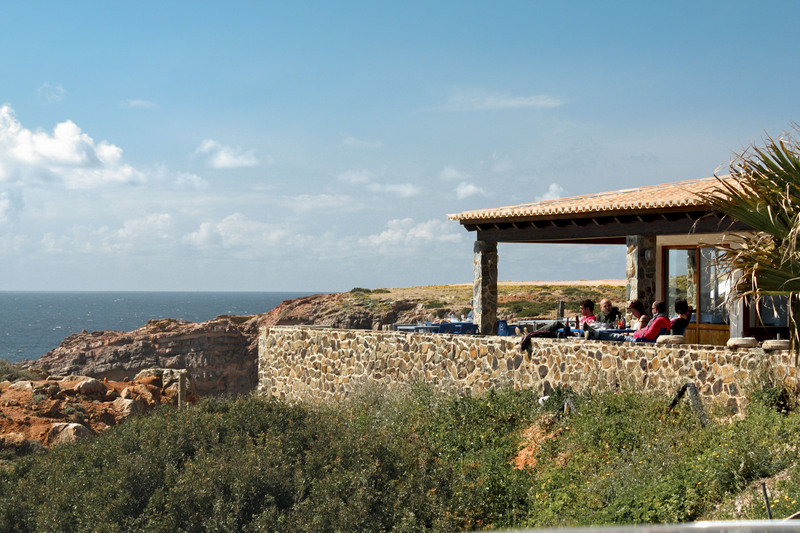 This restaurant is at Amado's beach perched on a cliff. With a wind protected terrace you can enjoy magnificent panoramic views and a fabulous meal. This eatery started as a tiny fisher’s cabana and turned into a great spot to taste some of the best and freshest Portuguese flavours.